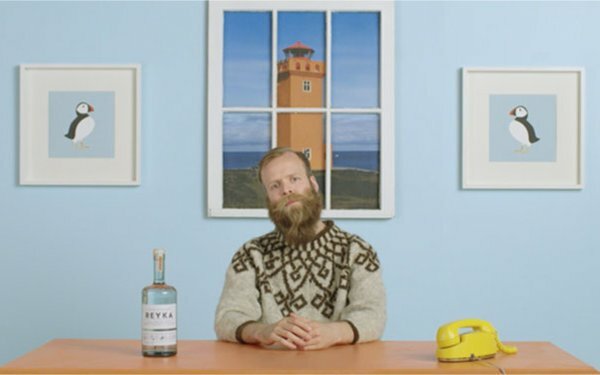 William Grant & Sons believes Portland Oregon is similar to Reyka Vodka's home country of Iceland which is why the distiller is focusing specifically on the Northwestern city as part of new “takeover” campaign. Developed with Red Tettemer O’Connell + Partners (RTO+P), this Portland campaign includes 15-second "Made of Iceland" commercials, featuring Reyka’s unofficial spokesperson, Frikki, running through August during primetime broadcast and cable television slots. In addition, the initiative will introduce on and off-premise point-of-sale promotions including shelf toppers, in-bar coasters, and print signage. Reyka Vodka National Ambassador Trevor Schneider will spend time in Portland to meet with bartenders, host press events and lead local activations. The brand will also sponsor several live summer concerts in the region as well as align with local Portland media to help generate buzz. There will also be paid social media support to amplify these efforts. Execs at the brand indicated that they believe Portland has similarities to the culture of Iceland, and people in the city value craft products with a good story and history. The client's goal is to double the volume of Reyka Vodka consumed in Oregon. If the Portland effort is deemed a success there may be takeover campaigns in other cities. The spirits marketer has experienced earlier success using this beachhead approach, most recently with its Milagro Tequila brand in Colorado, where sales have increased over 40% year to date. There, the award-winning tequila took a grassroots approach in the Denver market focusing on in-store efforts, targeted out-of-home media and the sponsorship of local events. Brand ambassadors were also deployed.